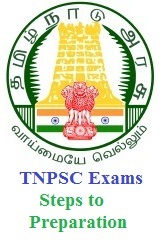 TNPSC (Tamil Nadu Public Service Commission) is an independent Constitutional body. The Governor of the State appoints the Chairman and Members of the Service Commission. The constituents of the Commission are the Chairman and Members. The policy matters and the duties referred below are performed by the Commission as a whole. The Commission has a Controller of Examination and a Secretary to assist in the discharge of its duties. The Controller of Examinations is incharge of the conduct of examinations, evaluations etc. The Secretary is incharge of the administration conduct of oral test, counselling etc and also assists the Chairman and the Commission. Article 320 (1) of the Constitution of India empowers the Commission to conduct examinations for appointment by direct recruitment to the services of the State. The Oral Test Department deals with the selection of candidates for appointment by direct recruitment to various posts, the selection process of which consists of both Written Examination and Oral Test. To conduct examinations for appointment to State/Subordinate services within its purview. The Government should consult the Commission on all matters relating to the recruitments to the Civil Services in the state and on the principles to be followed in making appointments to civil services and posts, and while making promotions and transfers from one services to another, the suitability of candidates in the aforesaid promotions and transfers and on disciplinary matters affecting the employees serving in the State Government in non-judicial capacity including memorials petitions relating to such matters. The following are the various Posts / Services made by the Tamil Nadu Public Service Commission. 30. Special Branch Assistant in Intelligence Wing of Police Dept. 33. Audit Assistant in Accounts Branch in Highways Dept. Vigilance & Anti Corruption Dept., Information and Public Relation, School Education. 3. Store Keeper in Employment and Training (Training wing) Department . The candidate should not take it lightly. He/she is to know about the eligibility criteria, the important dates, the syllabus and all essential details in regards to the examination. These are present on different job sites. One can find them on leading employment newspapers. On qualifying the written exams, the candidate is then called for the interview, where he would be asked relevant questions. Final selection of the candidate is done based upon the performance in interviews. Also, the candidate is to prepare for personal interview and group discussion rounds. Since there would be other candidates around who would make it to the other level, the candidate should be smart and knowledgeable enough to out beat them for getting the position.